Antibiotic resistance of the bacterium Staphylococcus aureus is responsible for 11,300 deaths a year in the United States alone—a figure that corresponds to half of all deaths caused by gram-positive resistant bacteria in that country. Such high mortality is related to the speed at which the bacterium acquires resistance to antibiotics. A study performed at the Institute for Research in Biomedicine (IRB Barcelona) and involving the collaboration of the Centro de Investigaciones Biológicas (CIB-CSIC) in Madrid has identified the key component of the machinery that S. aureus uses to acquire and transfer genes that confer resistance to antibiotics. The work has been published this week in the Proceedings of the National Academy of Sciences (PNAS). "The battle against bacteria—particularly in the hospital setting where they are a major threat—implies understanding how genes are transferred to adapt to a changing environment. For example, when they are treated with new antibiotics," explains the head of the study and IRB Barcelona group leader Miquel Coll, also a CSIC researcher, who studies horizontal gene transfer from a structural biology perspective. "Horizontal gene transfer confers bacteria with an extraordinary capacity to evolve and adapt rapidly—a capacity that humans do not have for example," says Coll. One of these pathways is called conjugation, a process by which two bacteria join and one of them transfers a piece of DNA called plasmid to the other. "A plasmid is a small piece of circular DNA that holds very few genes, often including those for antibiotic resistance and it takes only a few minutes to be passed between bacteria," he explains. Horizontal gene transfer involves machinery in which the relaxase, an enzymatic protein, is a key component. Thanks to the 3-D resolution of the structure of the complex formed by the relaxase with a fragment of the plasmid DNA, the researchers have identified that an amino acid histidine is a pivotal element in the DNA processing and thus in the transfer and the spread of resistance. "What we have discovered is that the relaxase of diverse strains of S. aureus differs because it uses an amino acid that is not used by any other relaxase that we know of," explains the first author of the study, Radoslaw Pluta, former "la Caixa" PhD student at IRB Barcelona, and currently a postdoctoral researcher at the International Institute of Molecular and Cell Biology in Warsaw, Poland. Histidine is the catalytic residue that allows the relaxase to cut DNA, bind to it, and stretch one of the two strands and take it into the receptor bacterium, where the strand replicates to form a double strand of the plasmid again. This new plasmid now holds the resistance genes and the machinery to transfer them to another bacterium. The scientists indicate that this catalytic histidine is present in the relaxases of 85% of the strains of Staphylococcus aureus. To test whether histidine is decisive in horizontal gene transfer,, researchers in Manuel Espinosa's group at the CIB-CSIC, who participated in the study, replaced it by a different amino acid and confirmed that it prevents transfer in culture dishes. 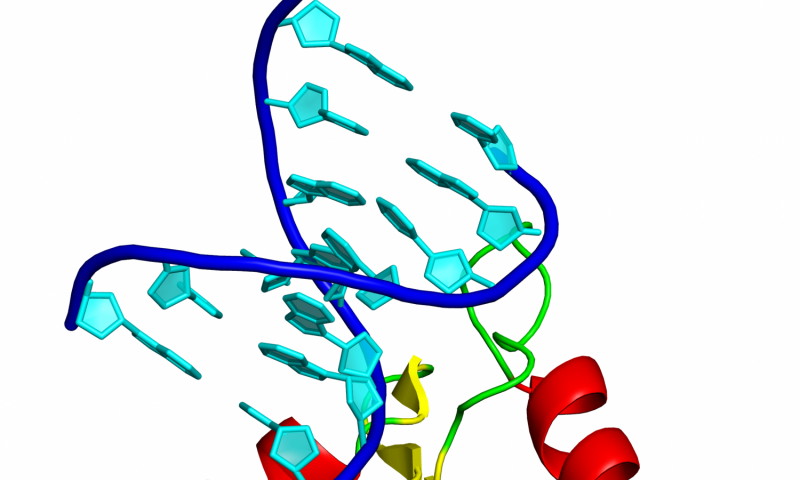 The mutation of histidine does not kill that bacterium but rather prevents gene transfer. How could this mechanism be exploited to fight infections? "I don't know," says Coll, "but we now know more details about a lethal bacterium and this may pave the way to the development of molecules to prevent the spread of resistant strains". Coll explains that hospital infections are the most difficult types to tackle. "We are in a race that we always lose because when a new antibiotic is brought out, resistance quickly emerges and spreads," he describes. The scientist adds that the list of antibiotics for hospital use is "too" short. Apart from the difficulty involved in developing new antibiotics, Coll also comments on another obstacle impeding advancement. "There is little investment because the pharmaceutical industry has other priorities. While this is perfectly valid, resources from the public and private sectors should be pooled". This work has involved the collaboration of Modesto Orozco's group, also at IRB Barcelona, which has performed the theoretical studies to validate the chemical reaction between the plasmid DNA and the protein via histidine. The structural resolution of the complex formed by the protein and the DNA has been achieved using data obtained by X-ray diffraction at the European synchrotron in Grenoble.